The Urban Peace Institute regularly produces policy research and best practice publications. Prior to our organization’s expansion in 2015, our work was produced through the Urban Peace program as part of Advancement Project. We have also included evaluations highlighting the effectiveness of our community violence reduction strategy. 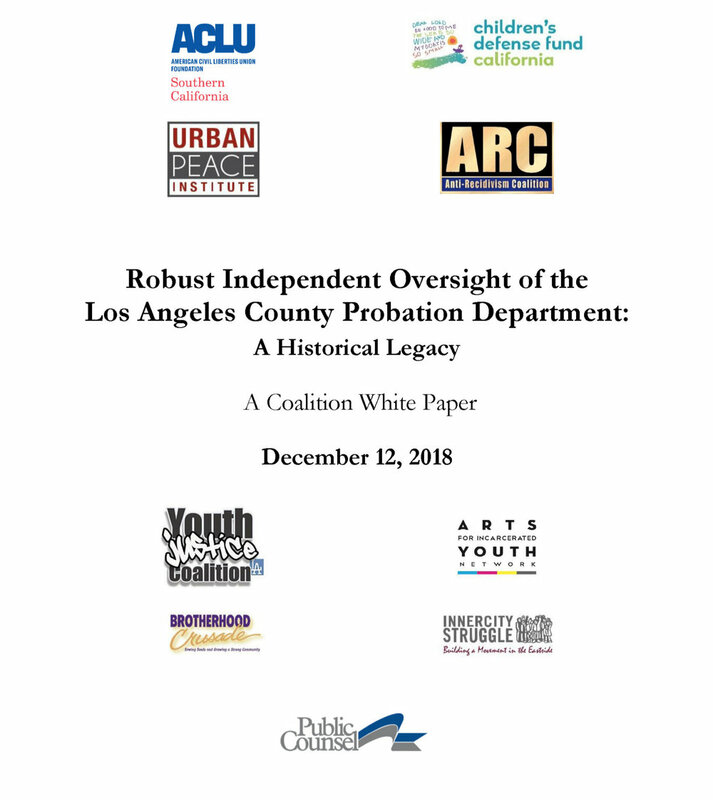 This White Paper examines the history of independent oversight of the Los Angeles County Probation Department and was published as a Coalition, with the Urban Peace Institute joining ACLU Southern California, Children’s Defense Fund California, Anti-Recidivism Coalition, Youth Justice Coalition, Arts for Incarcerated Youth Network, Brotherhood Crusade, InnerCity Struggle, and Public Counsel. 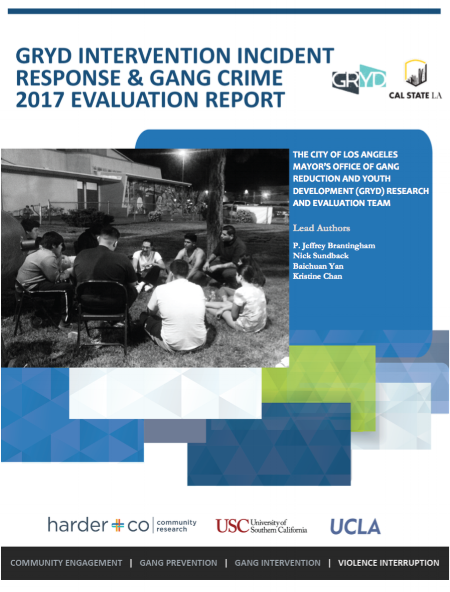 This evaluation uncovered the effectiveness of Los Angeles’ engagement of gang intervention workers to reduce retaliatory violence. UPI is a key training partner for both law enforcement and gang intervention workers promoting safety in Los Angeles. This report examines the Probation Department’s services for at-risk youth considered under voluntary probation and the potential risk in providing services to this young population. UPI prepared a report highlighting effective relationship-based policing strategies used to improve safety in Watts. Our best practices were used to inform the President Obama’s Task Force on 21st Policing. Our study exams how to best coordinate services for probation involved youth through improved data collection and sharing. In partnership with the Prevention Institute, UPI highlights effective strategies that the California Endowment has used to safer communities a reality. This report highlights progress Los Angeles has made towards keeping kids safe in the worst gang zones. their efforts to achieve community safety. In collaboration with the Violence Prevention Coalition (VPC), UPI measured public safety inequity among Los Angeles communities and highlighted areas in need of increased safety resources. Our groundbreaking report presenting innovative reforms to Los Angeles’ approach to combat gang violence.